There are many factors to consider when buying dog food. It can be challenging to select a brand you feel is trustworthy with so many available on the market. It can be more than a little overwhelming see the aisles upon aisles of options at the pet store. It is essential that all dogs have the right balance of fat, vitamins, carbohydrates, protein, and minerals for optimal health. One of the best decisions you can make is choosing a food that agrees with your pet's digestive system while also meeting their dietary needs. To make buying dog food easier, we've compiled a guide with vital information to consider when selecting new products to care for your beloved canine companion. All dogs go through stages of development, just like humans do. This means that dogs will have different nutritional needs during different life stages. Puppies especially need a specialized diet. They generally have more energy than older canines, and need proper nutrition to nurture their growing bodies. This means that every bite a puppy eats needs to be packed with nutrition. The Association of American Feed Control Officials (AAFCO) has regulations and guidelines for what goes into both healthy puppy and adult dog food. Puppy chow typically contains more calories than adult varieties. This is because adult products contain more fillers, such as grains and fiber, to make them feel fuller longer. 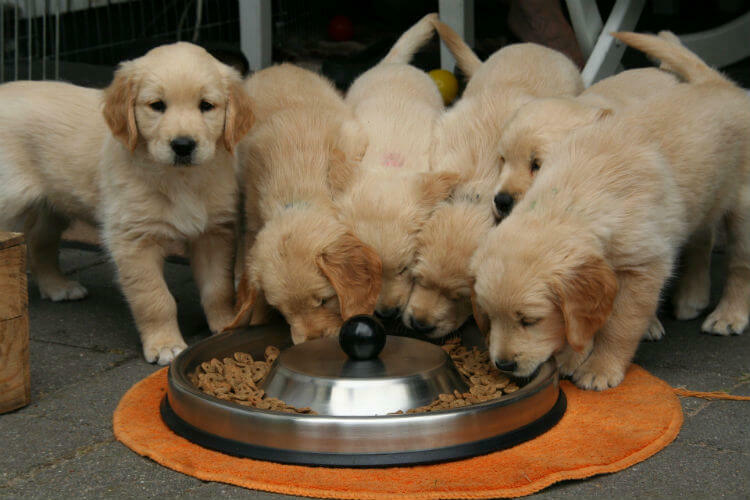 Puppy food is all about getting the highest amount of calories into a small stomach to keep them energized and satisfied until their next feeding. You can't feed an adult dog puppy food or it will put them at risk of consuming too many calories at one time. If you give a pup something designed for an older animal, they won't be getting enough calories This lack of calories can stunt their growth and have other serious health repercussions. Make sure to read your dog's food labels and pick the best formula based on your pet's age. The size of your pet will also determine what the best dog food for them is. Dog food for small dogs specifically will be different than food designed for a large breed, for example. A large breed adult canine will, in other words, eat more. This means pet parents will either need to buy in bulk or run to the store more often. Many pet owners are unsure of what type of food is best suited for their pet's specific needs. Different dog foods come with their own set of advantages and disadvantages. Proper nutrition should ultimately be the primary concern when choosing between brands. After all, you want your pet to have a long and healthy life! Your goal, in other words, should be to feed your pet the best dog food within your budget. Many varieties of wet canned food available today have delectable aromas and tempting gravies and flavorings. Its soft texture can also make it more palatable for Fido. This can come in handy if your furry friend is a picky eater. Dry dog food is generally easier to clean up and to purchase in bulk. A recipe for dry dog food usually has higher amounts of grain-based products than canned food. Many a formula for dry dog food uses a recipe for grain free or whole grains chow. It could lead to poor health if sub-quality grains and starches replace protein sources. Many people mistakenly believe that dry food has better dental benefits than wet food. The myth is that it can free a pet's teeth of plaque. However, dry chow can still leave plaque behind on teeth. Several scientific studies show that pets who were fed a dry food diet did not have overall better dental health compared to those who only ate canned products. 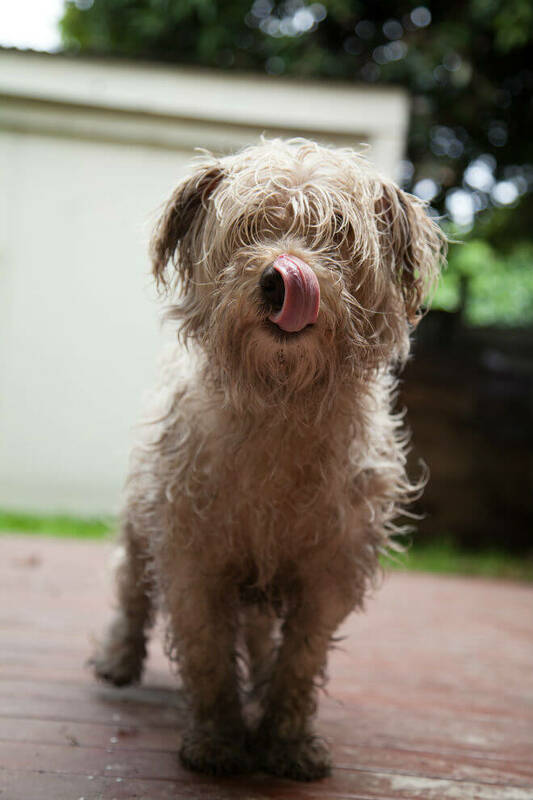 Some pet owners may try a combination of wet and dry foods to get the best of both worlds. In recent years, this variety has become increasingly popular. This type of food is frozen until ready to be consumed, as the name implies. Frozen dog food usually contains lots of protein, usually meat-based sources. Because it's flash-frozen, this also means that it is oftentimes low in preservatives. It should not be confused with freeze dry dog food, which uses a low-temperature dehydration process to preserve products. Just like humans, your furry friend will enjoy the occasional snack between meals. 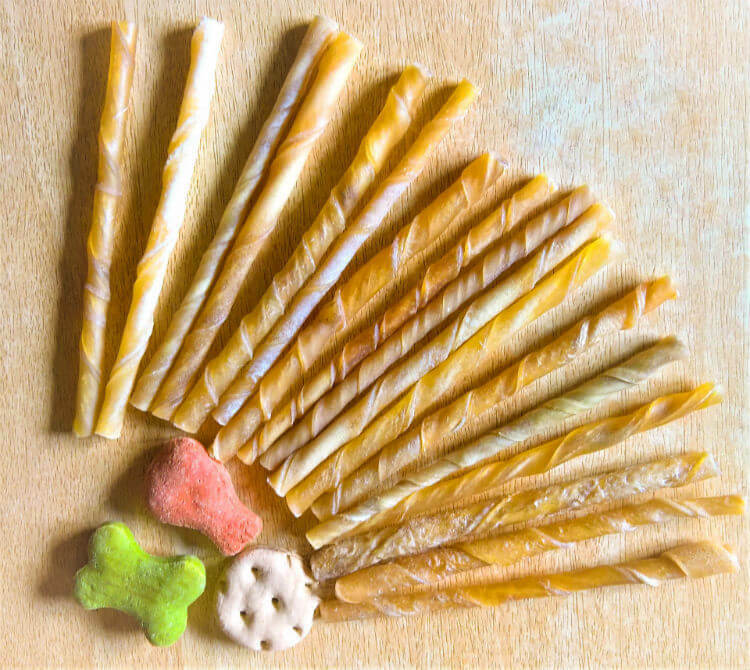 Dog treats come in a variety of shapes, sizes, textures, and flavors. Chicken, turkey, bacon, sausage, and beef are all common flavors. 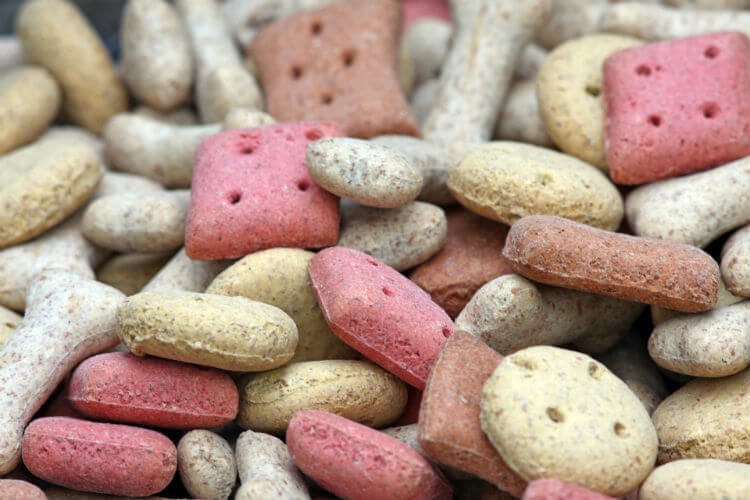 You shouldn't have any trouble finding something that your pet will enjoy snacking on! Some morsels even offer health benefits like helping to reduce plaque, cleaning teeth, and even freshening Fido's breath! (Please and thank you). Providing quality snacks is a must when you decide to spoil your pet. After all, not all dog treats are created equal. Some snacks might even pose health hazards! To decide what type is best, it's important to really pay attention to your pet's eating habits. 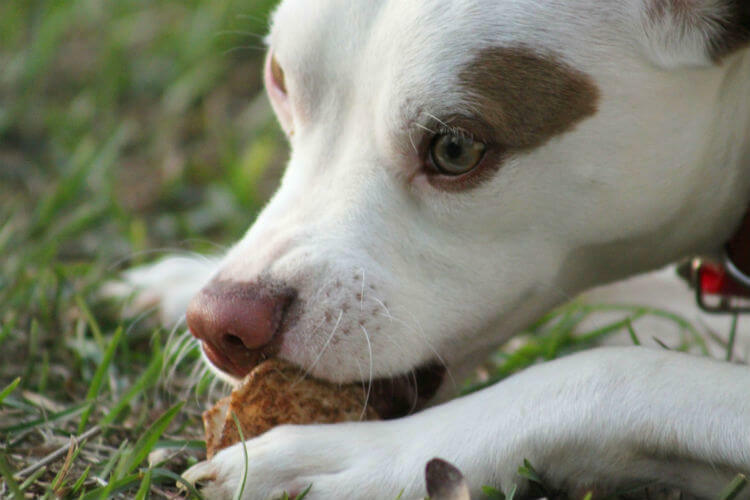 Rawhide dog treats are one such snack to carefully consider before giving them to your pet. 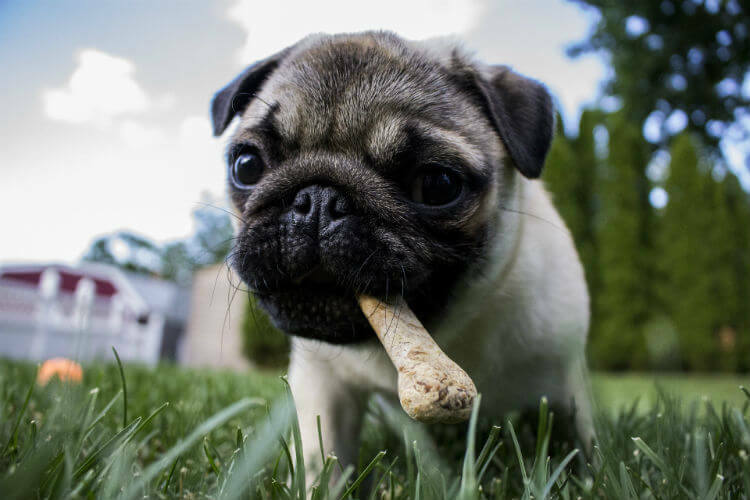 The American Kennel Club recommends that dogs that are heavier chewers should avoid rawhide treats, for example. This is because heavier chewers will be more likely to break off larger chunks that can pose choking or other hazards. Dogs that are softer chewers and eat slowly should be okay with a rawhide in most cases. Always research a new item beforehand, and consult with a veterinarian if you have any concerns about what is safe for your pet. Meat protein sources at the top of the label. The ingredients in pet food are listed by weight. This simply means that the ingredients used more (weight-wise) will be first on the label. Choose a product that lists protein at or near the top of the formula label since dogs need plenty of protein. Simply put, you want your food product to contain a meat source as its primary ingredient as it will provide the most protein. "Complete and balanced" formulas. Avoid or limit byproducts, even meat byproducts. Look instead for the complete and balanced label recommended by the AAFCO. Specifically named animal products. The protein source in your dog's diet should name the animal meat that's used, such as lamb, beef, or chicken. Whole grains. Avoid wheat gluten, cornstarch, and white rice. Opt for wild or brown rice instead. If you buy grain free dog food, make sure that healthy carbohydrates substitute for these missing grains. 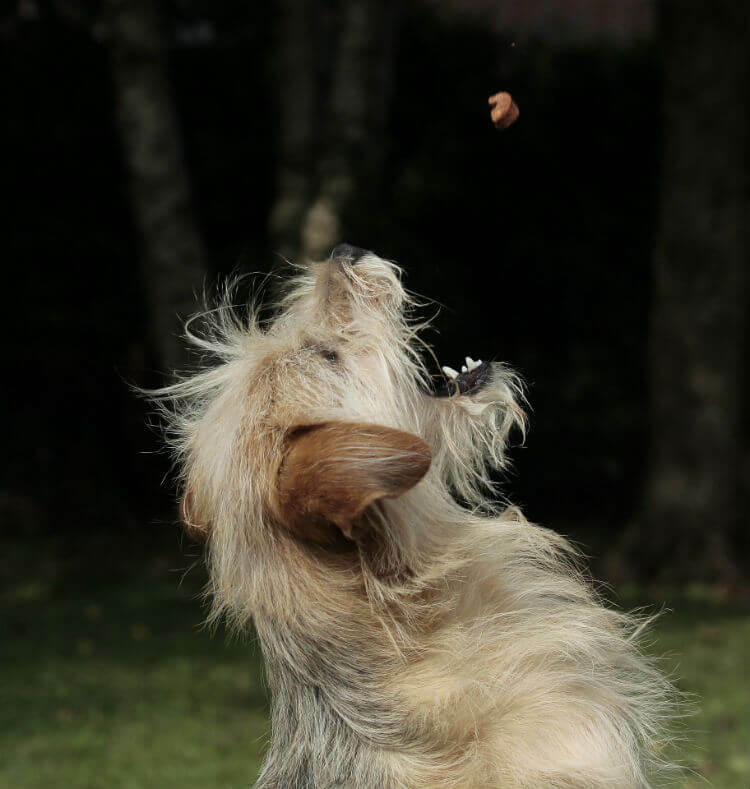 This can be especially important when looking into grain free dry dog kibble. Whole vegetables as thickeners. Vegetables are commonly acceptable thickeners in canned dog food. Recipes that use potato and sweet potato are good options. Potato starch and tomato paste are also adequate, as long as it's listed towards the bottom of the ingredients list. In the end, look for something packed with more protein per meal, few (or free of) preservatives, and minimally processed ingredients. Byproducts. Byproducts are ingredients you definitely want to avoid. They are found in every food group, including vegetables, grains, and meat. Avoid a recipe that lists meat byproduct (like "modified beef") as one of their main ingredients. Unclear or vaguely phrased ingredients. Never purchase a product that names a non-specific component or ingredient from an unnamed animal source. Typical examples are tripe, heart, or liver with no explanation of what animal these parts came from. It can be hard to tell what specific animal the food came from just by looking at it. This is because food binders hold high-processed meat together, so oftentimes food can look like chunks of beef but be something else entirely. Always check the ingredients label! Wheat gluten, guar, and carrageenan. Steer clear of wheat gluten, guar, and carrageenan. Artificial sweeteners. 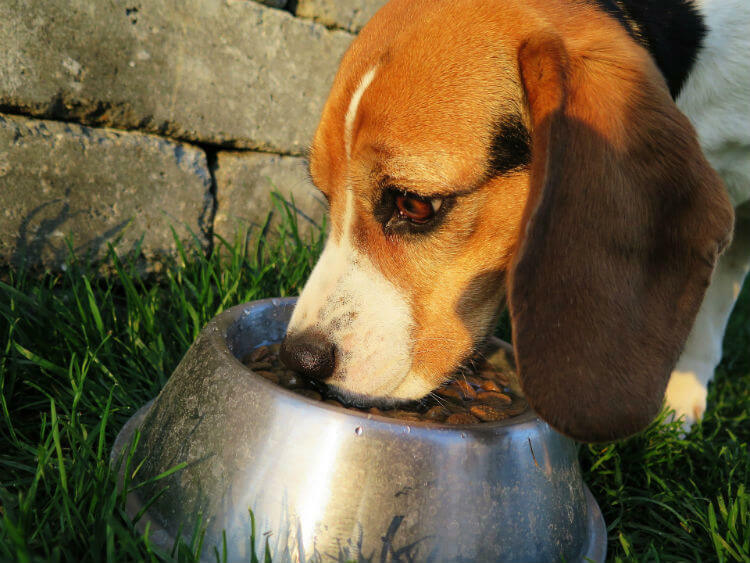 Low-quality dog foods will add artificial sweeteners and sugars to their product for taste. It is never healthy for a pet to eat corn syrup, fake sugar, or molasses. Thankfully, excess preservatives and artificial coloring is not common in wet dog food. This is because the canning process prevents spoilage. Beware "open formula" labels. Ingredients that are listed as "open formula" means they don't list particular ingredients. Dog food that lists cereal on their label without mentioning the type is considered open formula, for instance. With fixed formula foods, you know exactly what your pet is getting. The ingredients will be listed individually, such as chicken, salmon, maize, and rice. Avoid unnecessary fillers. Opt for "complete" recipes. Dog food is considered complete when it includes all the nutrients necessary to keep your pet healthy. A balanced diet for dogs consists of water, fat, carbohydrates, vitamins, and minerals. Many manufacturer's use fillers or mixers that contains nothing beneficial health-wise for your pet. It is usually combined with quality ingredients to reduce the overall cost. These fillers are usually made up of dry cereals used to bulk up a dog's diet. A limited ingredient diet may also help you care for your canine, especially if he has food sensitivities. This type of diet has a limited number of ingredients, as the name suggests. Oftentimes, this means that what is present in the product is higher quality. It might be free of fillers, or at least contain very few of them. Less items overall also means that there is a smaller chance that a rogue ingredient will trigger an allergic reaction or sensitivity in an animal. What flavor you choose is ultimately up to you and your dog's preferences. Popular flavors include chicken, turkey, duck, lamb, and salmon. Some premium types of dog food, like ground chopped dinner varieties, provide gourmet options that picky eaters may enjoy. Some ingredients can even provide distinct health benefits. Chicken is usually gentle on dogs' tummies. 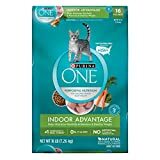 This makes it a great option for pets with sensitive stomachs. Other examples include Omega 3 and Omega 6 found in duck meat, which gives Fido the proper amount of oil necessary for a shiny, healthy coat. Never settle on a brand just because it's cheap. If wouldn't feed yourself a meal made with filler, preservatives, and harmful chemicals, you shouldn't give that to your pet. It's worth it to invest in quality chow. While it isn't always the case, premium brands are more likely to use better ingredients while bargain brands usually don't carry enough protein. Many times, certain brands are cheaper because they use lower-quality ingredients and add extra fillers. 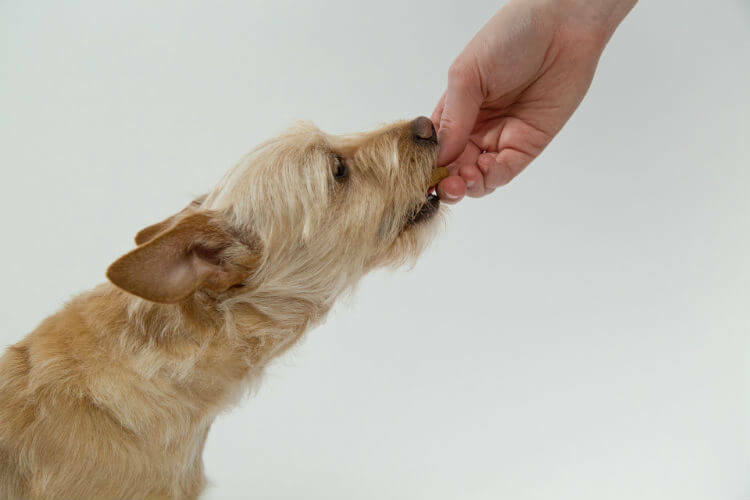 Always be cautious anytime you introduce new food to your dog's diet. Different animals require different dietary needs. Some pets may need more protein while others need less. You can tell how well or poor your canine is doing on new pet food products based on their activity level, stool consistency, and changes in their skin and coat. If your dog has a negative reaction to a certain type of food, stop giving them this product immediately and contact a veterinarian. If you decide to introduce something new into Fido's diet, do so slowly. Mix a bit of the new food in with the old to begin. Then, slowly add more of the new over time. Switching without an adjustment period can upset your pet's digestive tract. Whatever chow you buy, it's always advisable to consult a veterinarian first and follow a manufacturer's guidelines. Disclaimer: This article should not act as a substitute for professional veterinary advice.